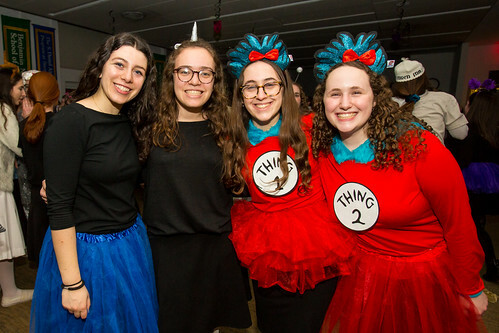 Purim is always an energetic celebration across our campuses, and this year was no different. MTA talmidim [students] and rebbeim [teachers] enjoyed an unforgettable Purim celebration together! The evening started with Mincha and Shiurim, followed by Maariv, Megillah, and break-fast. 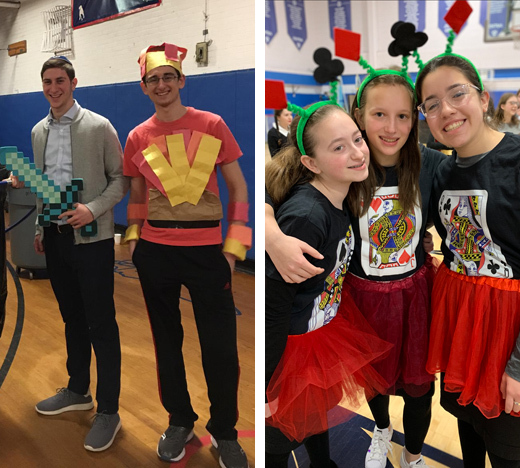 Then the real fun began with incredible dancing, tremendous ruach [spirit], an entertaining Purim video created by the Seniors, and a costume contest. They ended the night at the Yeshiva University chagiga, where everyone had a great time dancing with MTA alumni as well as YU Roshei Yeshiva and talmidim! On Purim day, talmidim enjoyed visiting their rebbeim’s homes and continuing the celebration. 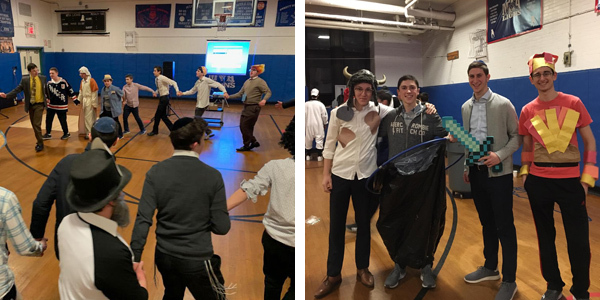 After two weeks of Purim learning, senior dress up, and other Purim prep, Central finally welcomed in Purim! On Wednesday, Taanit Esther, we joined other yeshiva day and high schools across the country, participating in a meaningful program coordinated by the Israel Education Network and Mizrachi America. We recited tehillim [psalms] together, sang together, and heard divrei Torah [Torah thoughts] from around the world. On Wednesday night, students and faculty gathered, in both West Hempstead and Queens, for Purim mesibot [gatherings]. Students joined for singing, dancing, eating, and hamentashen making. Festivities continued in school, on Shushan Purim, for the Purim Chagiga led by Azamra DJ. 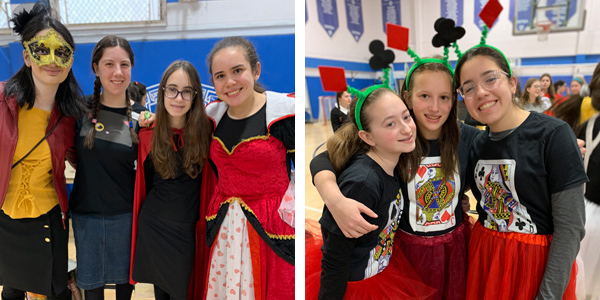 The Central community danced and celebrated the holiday and captured the Purim spirit!